I am confused, can I take vitex with progesterone or not? A: I do not agree, I have found that Vitex and natural progesterone cream may be safely combined, for most women. This would greatly depend on what their progesterone levels are at to begin with. A woman who has mid-to adequate progesterone level to begin with should not use natural progesterone cream. Only women with low progesterone levels may consider using natural progesterone cream. Vitex is supportive of the hormonal feedback loop. Vitex supports hormonal balance in the body by having an effect on the hypothalamic-pituitary-ovarian axis (hormonal feedback loop), correcting the problem at the source. It indirectly aids the body in balancing hormones overall which, if you have low progesterone, may work to aid the part of feedback loop that is not functioning properly and is causing low progesterone. Vitex does not directly increase progesterone levels, but rather supports the system that is needed to release progesterone correctly. Natural progesterone cream directly increases the progesterone levels in the body. 2. Q: My question is about Wobenzym. Your website talks about the advantages of Wobenzym and how it has been studied and is safe for use during pregnancy. However, all other websites with information on, or who sell Wobenzym say do not take if you are pregnant or breastfeeding. Why does the information on your website differ from other information on the web regarding Wobenzym? A: The label on this product clearly states that if you are pregnant or breastfeeding you should consult a health care professional prior to using this product. It does not say not to use in pregnancy or breastfeeding. The information on our site differs because, through our research, we have been able to prove its safety in pregnancy through human trials with pregnant women. We have also had women use systemic enzymes through pregnancy with no side effects, under the guidance and care of their doctor. Only women with immunological-induced recurrent miscarriage would want to consider using systemic enzymes into pregnancy. If a woman feels she is a good candidate for Systemic Enzyme Therapy using systemic enzymes into pregnancy, she should consult with her health care provider to make a plan to continue using them into pregnancy. She must be under the care of a qualified health care practitioner, someone who can monitor her progress and adjust dosage if necessary. It is important to remember, other sites that sell Wobenzym N, are not focused on fertility issues, that makes a difference as well. 3. Q: I’m 38 yrs old. I have high FSH, low ovarian reserve and high estrogen. In the summer I had a cycle of IVF drugs which I didn’t respond to so they just did an IUI but it wasn’t successful. I’ve been trying to improve my egg quality by taking barley grass and spirulina. I’ve also been taking Fertilaid for three weeks now and I take magnesium powder and hemp protein powder. Am I taking too much? If so, what do you think I should drop? Do you think there is any chance I will conceive naturally? I did recently read you can reverse low ovarian reserve with nutrition and lifestyle, is that true? A: I am sorry to hear that you are struggling with fertility issues. Low ovarian reserve can be one of the most devastating diagnosis for women! The dietary supplements you have chosen so far sound like they are a great start, but honestly it may take more to change the health of your eggs, as well as get them to respond, so that FSH will lower. Learn about supplements specific to increasing egg health! I have seen women increase their egg health and count of viable eggs for IVF, as well as lower FSH just by following a Fertility Diet, exercising regularly, and including Fertility Super Foods in their diet. The key to improving the health of your fertility overall relies solely on your commitment to changing your life. Lifestyle changes are going to have the greatest impact! If you feel completely lost, we do offer consultations. 4. Q: Hello, I have seen many people asking whether it is safe to take UterineWise kit, my doubt is this: natural remedies should not disturb pregnancy. This UterineWise kit should not disturb women who want to get pregnant. But there is no proper reply. Can you guide me while using this kit, can I become pregnant while using this kit? What side effects would there be? A: The UterineWise Fertility kit is best used prior to trying to conceive. The goal should be to heal your body first, prior to trying to conceive, for at least 3 months. I understand some women desire to try and conceive while also working to reduce uterine fibroids at the same time. All of the products in this kit; Fibro Defense and DIM may be safely used while trying to conceive. You would use them a bit differently if you are trying to conceive. DIM would be stopped once you found out you were pregnant. 5. Q: I am 37, estrogen dominant. Have been taking bioidentical progesterone cream for 3 years, periods come like clockwork every 27 days. I have four healthy children. Not using any birth control. I take progesterone days 14-26. This month, my doctor increased my dose of progesterone. My period was due 6 days ago. I am nauseated and tired. I took a pregnancy test today, negative. I am taking another test in the morning tomorrow. I will certainly call my doctor if it is negative, but am wondering if I should continue the progesterone (is it perhaps causing the delayed period and nausea)? A: If your doctor has determined that despite 3 years of using progesterone cream, you still need to increase dosage because you may still be deficient, then it may have caused some estrogen receptor site response. When you increase, or introduce progesterone back into the body after an extended period of progesterone deficiency, the estrogen receptor sites ‘wake up’ (are stimulated), enhancing the action of estrogen for a short period of time. This is actually a sign that the progesterone is working, even though at the beginning it can exacerbate estrogen dominance symptoms such as breast tenderness and swelling, spotting, fluid retention, dizziness, hot flashes, fatigue, headaches and nausea. Though, in your case I cannot be sure on this, but it sounds like this may be what is happening. You may or may not be pregnant. You would not want to stop the progesterone cream if you are pregnant, so you may want to discuss this with your doctor. Please test again, contact your doctor to discuss how the increase in dosage is making you feel. I am writing in regards to the Vitex and Progesterone. I have been using Vitex for several months now and feel it has greatly helped my cycles. However, I recently had my progesterone checked on day 21 and it came back at 7.1 ng/ml. My Naturopath said this was lower than she likes to see, but my OB said it did indicate I ovulated and was okay (was on the low side but still okay). Do you think it is okay to use the natural progesterone cream along with Vitex with these levels of Progesterone. My acupuncturist was concerned with the hormonal feedback loop and it being too much but wasn’t sure. What I know is that a day-21 progesterone level of over 5 may indicate ovulation, but that most doctors prefer a progesterone level of over 10ng/ml, yet under 15ng/ml (during a non-medicated cycle). 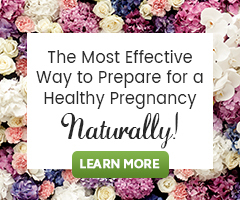 While your level may be “okay”, is it enough to support implantation and early pregnancy? Did you have other signs of ovulation; rise in BBT, cervical mucus changes, twinges or ovulation pain? While Vitex and progesterone cream can be combined, because you are working with both a Naturopath and OB, do ask either their thoughts about trying it at a dose appropriate for your needs. I know you are receiving differing advice, so it may take some thought about whose advice resonates with you most. I do have other signs of ovulation (rise in BBT and positive opk), but cervical mucus changes have not been as noticeable. I am worried about it being enough to support implantation & early pregnancy, which is why I wanted to give the natural progesterone cream a try. I will speak with them both again as both did indicate it was on the low side, but did not offer any suggestions to raise it or that I needed to. I completely understand your concern and am glad you are willing to speak with practitioners you are working with. Feel free to share our communication and or guides should you wish. Hello! I was diagnosed with PCOS. I have higher levels of progesterone and I’m trying to find out what I could do to lower progesterone and get estrogen to level out? I recently started taking Pregnitude to hopefully get my menstrual cycle back to normal. I usually get about 2 per year. Any suggestions? PCOS is a complex endocrine system disorder that may be one of the most complex female fertility-health issues. It is important to learn how to make dietary and lifestyle changes to support the body in re-learning balance by promoting healthy hormonal balance, a healthy uterine lining, regular ovulation, improved estrogen metabolism, reduced cravings for sweets and improved digestion. You can learn more and how to do the above in the following article, How to Reduce the Damaging Effects of PCOS on Fertility Through Diet and Herbs. Did you confirm your initial low progesterone through testing? It takes anywhere from 4-12 months to increase progesterone levels to where they need to be with natural progesterone cream supplementation. You are within that time frame, so it may be that you no longer need the progesterone. It may be time to discontinue the natural progesterone cream supplementation to help lower levels and bring on menstruation. Discontinuing its use will also help you to see how well her body responds to the Fertilica Vitex alone. Thanks so much for the info! My reason is that I have been taking Fertilica Vitex for a couple of months now. Initially I ordered the tincture and then the capsule. I have taken it for about four months now. My problem now is I just ordered for more products including vitex from your shop a week ago. My order will arrive in a couple of days, but the Vitex I had ran out 3 days ago. Now I want to do the Fertility Cleanse. So I don’t know if I should just wait to finish the cleanse or take the vitex when it arrives with the cleanse? You can start taking Fertilica Vitex again when it arrives to you and take it while you do the Fertility Cleanse. This is because you have been taking Fertilica Vitex for some time prior to cleansing and will only have taken a very short break from taking it. Hello, What time frame is being termed long term of using vitex to know if one should use it with the fertility cleanse or not? Clinical research shows that Vitex may start working within 10 days, but full benefits may not be experienced until 6 months or longer. For PMS results are normally seen by the second menstrual cycle. But for lasting changes it may need to be taken for up to a year or more depending on how long the imbalance has been present. 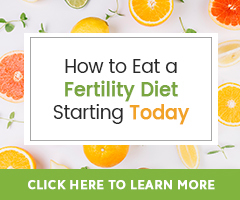 If you have not already been taking Fertilica Vitex for at least 2 weeks prior to starting the Fertility Cleanse, it would be best to wait to begin taking it until you have completed the Fertility Cleanse. Once the cleanse is completed, you can start taking Fertilica Vitex at anytime and take it all cycle long without taking a break. I suffer from low cervical mucus due to a Cryotherapy, that might have damage the crypts that produce it, I had been on FertileCM for 1 month and I saw a little bit more but I read on a Fertility Diet Book that vitamin C dries cervical mucus and the Fertile CM has vitamin C on it. Do you have any other suggestion? I will be starting the fertility cleanse in a few days and I wanted to know if I can continue taking vtex caps and fertility smoothies while cleansing? If you have been taking vitex long-term it may be best to continue it through the Fertility Cleanse, so that you continue to be consistent with this herb. In general though we feel it is best to NOT use Vitex while doing the Fertility Cleanse. Hope that clears that up for you!